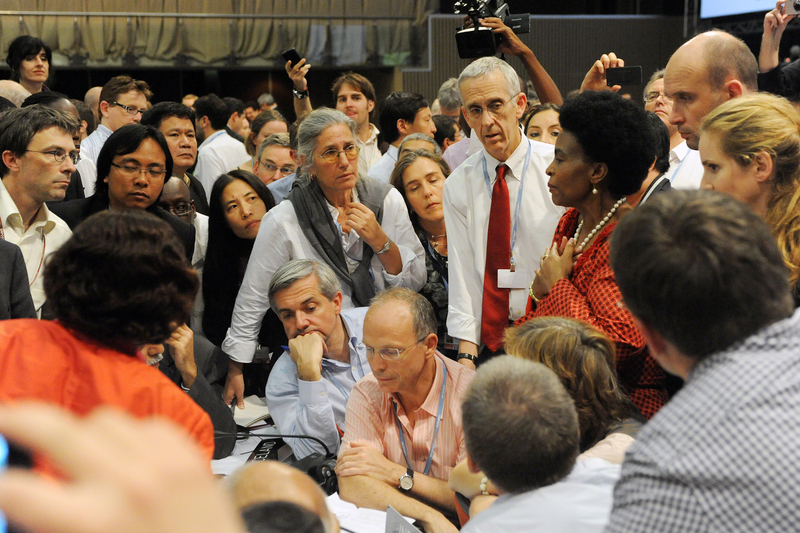 Negotiators twice used a powerful yet little-known South African consensus process—indaba—to rescue foundering talks at international climate change conferences. 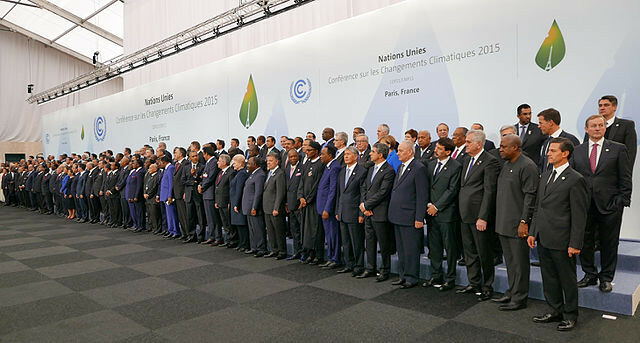 Introduced at the 2011 Durban talks, the recently-concluded 2015 Paris talks also invoked indaba (pronounced “in-dar-bah”) to reduce “900 bracketed points of contention in the draft text to about 300 before the last session“—making it possible for the first time for all 195 countries present to agree to reduce carbon emissions. Indaba has been used at Zulu, Xhosa, and Swazi tribal gatherings for two centuries or more. Negotiators used Indaba as a logjam-breaking technique after traditional negotiating process ground to a halt. Participants with decision-making authority worked in small groups that included members from countries with seemingly incompatible goals. Small group members shared verbally and face-to-face their “red lines”. These were specific “hard limits” issues they were not willing to compromise on. Participants who shared hard limits were concomitantly responsible for proposing solutions to other group members. This prevented the meeting from being merely a presentation of position statements. The third and fourth covenants listed above distinguish indaba from other forms of group consensus and negotiation process: explicit sharing of what is not acceptable, coupled with commitment to propose and explore solutions for supposedly intractable differences. A couple of more recent formats are reinventions of Indaba principles. Another is the “two circles” couples work technique for finding common ground popularized by John M. Gottman & Nan Silver in The Seven Principles for Making Marriage Work, in which you draw two circles, one inside the other, using the inner circle to list aspects you can’t give in on and the outer circle for aspects you can compromise over. It’s remarkable that such an elementary consensus process proved to be key to creating a meeting agreement that will likely profoundly shape the future of our planet. In addition, it’s incredible that such a powerful process is virtually unknown to most meeting designers, negotiators, and facilitators! In conclusion, the outcome-changing application of indaba at the United Nations Conference on Climate Change demonstrates, there is an urgent need for all of us to become familiar with and use good group process when we meet to learn, connect, engage, and decide. The world will be a better place when we do. This entry was posted on Monday, January 18th, 2016 at 7:41 am	and is filed under Facilitating Change. You can follow any responses to this entry through the RSS 2.0 feed.You can leave a response, or trackback from your own site.